In today’s media landscape, consumers are in the driver’s seat as they consume content when and where they want. As a marketer, you need to find new ways to capture people’s attention on their terms. 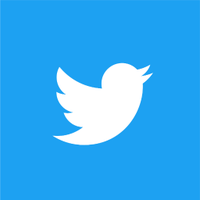 Twitter's In-Stream Video Ads connect brands to compelling, brand-safe video content, allowing marketers to capture consumers' attention when they are most receptive. Today, we’re making In-Stream Video Ads available to all advertisers — including self-serve — in 12 global markets: Saudi Arabia, United Arab Emirates, Australia, Brazil, Canada, France, India, Japan, Mexico, Spain, United Kingdom, and United States. In-Stream Video Ads allow marketers to connect with their audience through pre-roll ads that kick off the videos people love. We’ve partnered with the best publishers in the region, including but not limited to Rotana, Sayidaty, CNBC Arabia, ON Sport Egypt, CBC Egypt, Layalina and Al Aan TV. Every day, they’re sharing brand-safe videos that your audience is eager to discover. From catching must-see sports highlights to watching clips of top TV shows, people on Twitter love that they can watch what’s happening. Time and again, In-Stream Video Ad campaigns drive positive shifts in key brand metrics for advertisers. Based on global Nielsen Brand Effect data, people who saw In-Stream Video Ads on Twitter were 60% more likely to recall the brand’s ad, 30% more likely to be aware of the advertiser’s brand, and had a 5% higher purchase intent (versus those not exposed to video ads). DAN has been working with Twitter on behalf of more than a dozen brands and seen great success. Twitter's unique value is clear: brands can reach audiences watching premium, brand-safe digital video. In-Stream Video Ads have allowed us to guarantee our clients can reach their target audiences at scale.